offers guidance on how to deliver person-centred care to people whose lives have been affected by dementia. Providing people with practical tips on communicating, eating well, and improving wellbeing plus advice on assistive technology and creative therapies. It provides the reader with a compelling, informative and easy to understand resource, helping people better understand how to communicate and care for people with dementia. The Guide seeks to educate people to about the different types of dementia noting that dementia is a “collection of syndromes resulting from damage to the brain” (page 3), with Alzheimer’s being the most common type, covering the common functions which can be affected by dementia including memory, thinking speed, mental agility, understanding, and judgement. 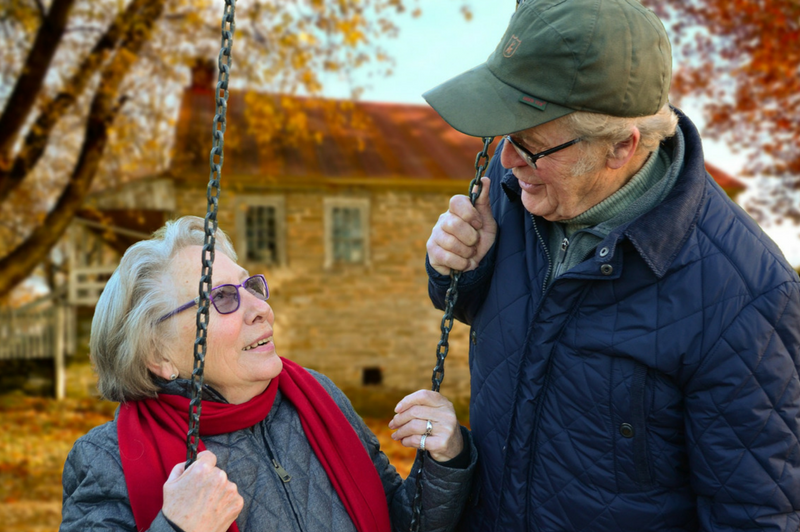 The Guide highlights that although these symptoms are common amongst most individuals with dementia, the rate of progression varies from person to person and is dependent on the type of dementia, as well as the overall health and lifestyle of the individual. The Guide encourages anyone who is concerned about dementia to seek help by talking to their GP. In the absence of recent factual memories, people with dementia are likely to search for much older factual memories, possibly from youth, to help make sense of their current situation. The guide offers tips on how to effectively communicate with the person, mentioning the importance of creating a calm and relaxed environment, and joining the reality the person is living in rather than contradicting them. The useful guide states we must adapt to a ‘person-first approach’ in the household. Pam Schweitzer (1998, page 4) proposes that looking through family photos, listening to familiar music and visiting memorable places; may help sustain a better relationship between family and person, as well as carer. This helps the person feel at ease by reminiscing about happy memories. The SPECAL® method, this person-centred approach can greatly improve wellbeing and quality of life as well as strength your relationship with your loved one through positive communication techniques. It is important to avoid asking direct questions that require factual information, this increases awareness of their disability which in return causes more stress and grief. It’s important to listen to what the person affected is saying, to base our questions and answers from their perspective; any information they receive should generate good feelings for them. It’s important to not argue with them, we must not sidetrack them from pre-dementia memories, as they are used to make sense of the current moment. We must support and validate what they are saying as being correct. The Guide promotes the use of assistive technology as an aid for greater autonomy. Introducing adapted versions of household appliances such as doorbells and telephones with larger buttons and bolder colors. It is important to note assistive technology is more effective when introduced in the early stages of dementia; gradual introduction of these technologies can prevent confusion. The guide also states assistive technology is best when combined with a ‘person-centred’ care service. Arts 4 Dementia have successfully organized events with arts venues, encouraging people with dementia to take part in art, music, dance and drama events around the country. The guide states that “attendees have remained energized, happy and stress-free for some time afterward, with 94% still benefiting overnight and 60% benefiting for a week or more. The Guide notes the importance of physical activity for people with dementia, offering suggestions on types of activities which promote happiness and wellbeing. The guide explains that walking the dog or gardening helps to maintain a connection to normal life, retain skills and improve sleep, appetite, circulation and digestion. The Guide also states that people with dementia can have a preference for sweeter foods, finger foods and regular snacks as smaller portions are often more appealing. The Guide recommends that care is provided in a familiar environment such as the home; here a person can receive an unrivaled level of support through one-to- one live-in care, whilst also continuing to enjoy their independence. The guide informs us of the type of care one would receive, stating “Carers using a ‘person-centred’ approach will deliver holistic care, taking into account personal and emotional needs, in addition to practical and medical tasks they may need help with. What distinguishes The Guide ‘Dementia: through their eyes‘ is that it offers different ways of thinking and understanding the person with dementia, and provides information and practical tips to help support the person with dementia live better, happier and more productive lives. The guide encourages good practice and explores dementia from the perspective of the individual. This helpful guide offers a wealth of in-depth content, that also answers questions concerning sleeping patterns, medical support, funding and have listed a number of relevant resources, and organizations to support those affected by dementia. I want to say a special thank you to the Good Care Group for providing us with this awesome new resource! « When You Suspect A Stroke Moments Matter! Such helpful information. The biggest issue I had to get over quickly was to not correct or contradict! All these tips are imperative for a less frustrating and meaningful relationship with your loved one!!! Sounds like a great resource. This sounds like an excellent resource, Rena. Just had dinner last night with a friend who’s dealing with an elder friend who’s struggling with memory issues. My friend is her elder friend’s financial PoA and local “boots on the ground” for two daughters who aren’t nearby. This guide could be a big help for them all. I’ll pass along the information! I’m grateful that this disease is finally the attention it needs and deserves. I hear about new strategies and research frequently now. And I thank you for your tireless efforts on behalf of those with Alzheimer’s and their families. Can I ask if the food supplements helps? Like Sustagen Prime, etc. Detailing the specific tasks to be carried out, and logging activities ensures that clients’ needs are met each and every time they are visited by their caregiver.